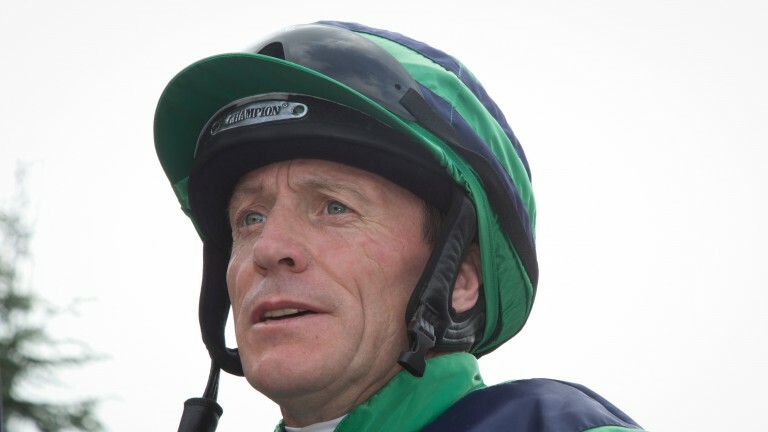 Kieren Fallon said on Tuesday there was "light at the end of the tunnel" as he talked of how much he was enjoying his work in a racing yard having teamed up again with Godolphin trainer Saeed Bin Suroor in Dubai, where he is exercising horses. Six-time British champion Flat jockey Fallon, 51, announced his retirement from the saddle last July, when it was revealed he was undergoing treatment for depression. At the time the Turf Club's chief medical officer Dr Adrian McGoldrick said Fallon had lost the motivation to keep riding. Speaking publicly for the first time since he quit, Fallon told the Racing Post he had been able to come to terms with the end of his career and expressed his gratitude to Bin Suroor and William Haggas for giving him an opportunity to stay involved with horses. "Things are great," he said. "I ride out most days for Saeed. They're lovely rides and nice horses. The carnival starts on Thursday and we're really looking forward to it. "There's a real buzz in the yard, with good guys there. We're all excited. We have three runners and hopefully one of them will win." Fallon continued: "I've been out here since early November and I'm really enjoying it. I'm still going on with my treatment, but the main thing is I'm enjoying my work. I love riding in the mornings and golf in the afternoons. "I'm trying to get on with what we have at the moment. Saeed has always been very good to me. I've ridden a lot of nice winners for him and he was always easy to ride for. "I'm here now and he was a great help to me when I needed him most. Winters in Newmarket aren't what I enjoy. I loved California but have family commitments in England which stopped me going far away, but Dubai is handy. I enjoy the sunshine and really enjoy my work with the horses." Fallon, who rode 16 Classic winners in Britain and two Arc winners, has been able to access the help he needs in Dubai for an illness that had gone undiagnosed until last year, when he returned from the US to take a job in Ireland with trainer Michael O'Callaghan. "I think Dubai is one of the best places in the world for anybody who needs help with any sort of addiction," he said. "When I had my bad fall at Royal Ascot [in 2000], I came out here to rehabilitate and get back fit. I was lucky enough to ride out for Kiaran McLaughlin, who gave me my first winner back, which was why this was my first choice." He said recognising he could no longer be a jockey after such a successful career had been challenging and admitted he should have stopped sooner. Fallon said. "You think everything is finished. I couldn't really see further than the next day, whereas now I'm really looking forward to the Carnival, looking forward to being back in Newmarket and riding out again. I'm just getting on. "When you stop riding you think your whole world ends. Thinking of all the boys, I'm not very far behind Pat Eddery, Walter Swinburn, Mark Birch, Lindsay Charnock, people I was riding with, how quick they can go. You have to try to look after yourself. "You're working every day, seven days a week from five in the morning until midnight, then it all stops. I was riding longer than I should have been. I should have retired years ago. But I knew if I did I'd struggle. That's why I kept going, kept trying to grasp on to something. "It's the best decision I've ever made to do what I'm doing now. Willie Haggas too has been a big help to me. I really enjoyed myself when I was riding out there. They're a great yard to work with and have loads of winners. That was great help when I wasn't in a good place." Asked if he had come to terms with retirement, Fallon replied: "Yes, I have. I love doing my work in the morning. It's what I want to do. As it was I was struggling to ride in the evenings anyway. In the end it was a disaster when you watch the replay. I could see it for a long time but you just wait and hope. "I'm getting on with it, trying to move on. You miss that rollercoaster when it stops, but things are going great. I wouldn't say I'm out of the woods yet, but there is light at the end of the tunnel."